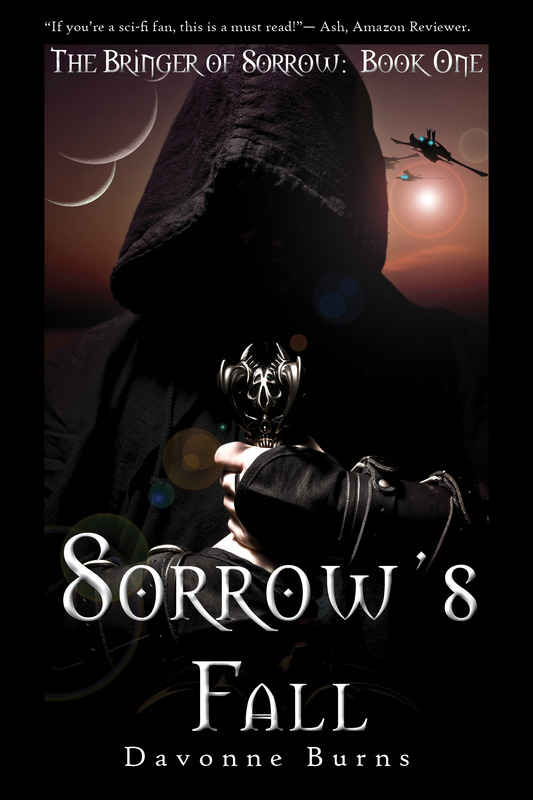 The five book series The Bringer of Sorrow begins with Sorrow’s Fall. Emotions are a liability for an assassin. As a telepath, sixteen-year-old Sorrow is assailed by his target’s fear and desperation as he closes in for the kill, the voices of his victims haunt him day and night. In defense he has learned to shut off his own emotions…Until he meets her. Sarin is as powerful as she is beautiful, but there is something terrifying about her—something Sorrow knows could kill him. In SORROW’S FALL, Sorrow is a sixteen-year-old assassin in a fantastical world of war, magic, and betrayal. Lord Fall and his family, a powerful force among the Barendi clan, have manipulated the young warrior Sorrow from the time he was a small boy, convincing him that he is a monster good only for the destruction he wields. As the novel unfolds, it becomes clear that Sorrow is much more than he appears, and his power is greater than he ever imagined. SORROW’S FALL is well-paced and beautifully imagined, the setting rich, and the plot well-developed. But what I love best about this novel is the compelling portrait the author paints of the character known only as Sorrow. While there is certainly an element of romance in the book, it is ultimately much more about the journey of one young boy trying to find his place in the world. Author Davonne Burns captures the isolation and pain of adolescence beautifully, making this a novel that will resonate with teen readers and adult fantasy fans alike. I will say that because of how epic and intricate the storyline is, the sheer number of characters and twists occasionally became overwhelming for this reader. I think as the story unfolds and the next novel is released, all that world building will pay off and the narrative may not feel quite so dense in subsequent novels. With that said, however, I don’t think that the story suffers at all for its complexity; ultimately, I found myself mesmerized from beginning to heartbreaking end. By turns heartbreaking and heartwarming, this richly told tale of redemption is one I highly recommend for older YA readers (there is some graphic violence, strong language, and complex themes that make this a shaky pick for tweens or younger audiences) and adult fans of the fantasy genre. SORROW’S FALL earns a very strong four stars from this reviewer. “This novel is absolutely brilliant. It holds you tight and never lets you go.” —ArcaneFayth Amazon Reviewer. “Davonne weaves a sci-fi adventure that will touch you deeply.” —Athena Brady, author of Thoughts on Life and award-winning blogger. “I loved every bit of it. Davonne Burns thrusts you into a world fighting for power over the galaxy…This has the potential to blast Twilight out of the water. Bring on book two…and a movie…”—Crystal Crichlow, book reviewer and author of Winter Rose.